Welcome to the home page of Michelle K. Moore! Michelle K. Moore, a native New Yorker, began singing, dancing and acting at an early age. Her childhood was spent taking dance classes at The American Theater Dance Workshop and performing in school plays and community theater. During her summers she attended French Woods Festival for the Performing Arts. It was at French Woods where Michelle recorded MTI Jr. versions of Fiddler on the Roof (Hodel), Into the Woods (Baker’s Wife), Once On This Island (Ti Moune) and she sang Jasmine’s part in A Whole New World from Aladdin. 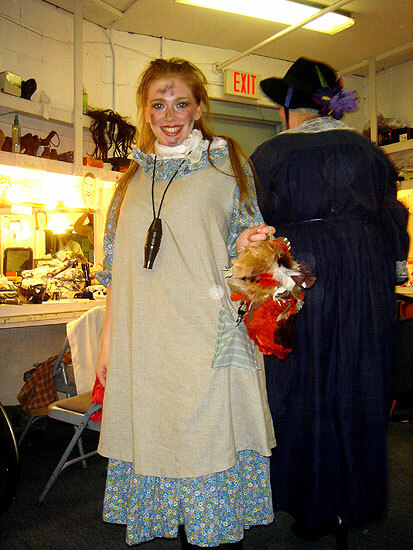 When she was 13, she toured the country with the national tour of BIG…the musical. 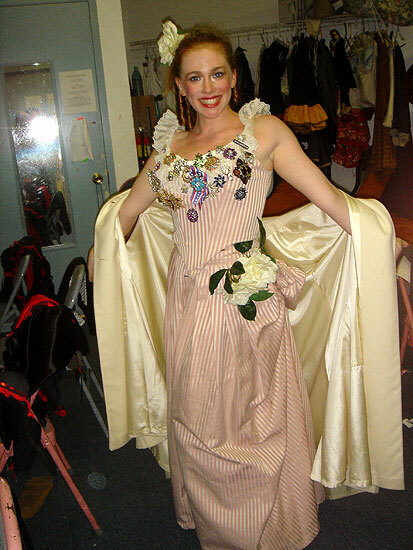 Michelle had the pleasure of pursuing serious musical theater as Ann Reinking’s apprentice at the Broadway Theatre Project for several summers, where she got to study with Gwen Verdon, James Naughton, Ben Vereen, Patti LuPone, Phylicia Rashad, and more. Michelle graduated with honors from New York University’s TISCH School of the Arts where she obtained a BFA. 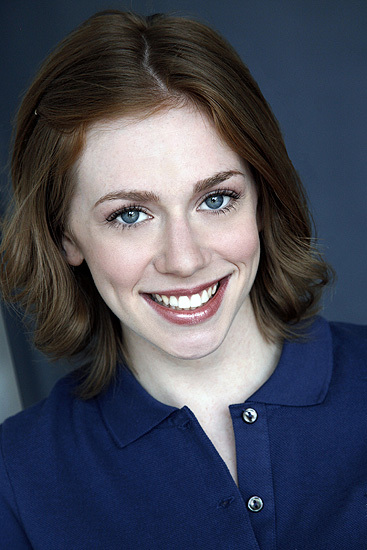 She studied acting for at the Atlantic Theatre Company and musical theater at CAP21. 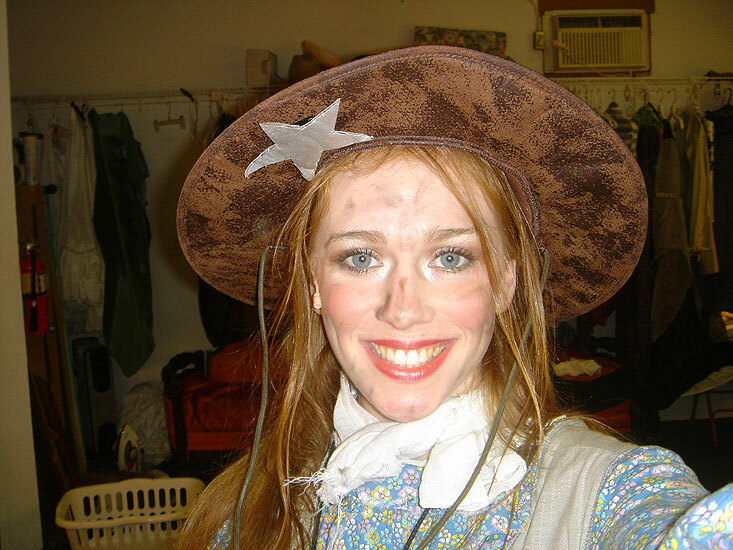 After college it was off to summer stock at The Surflight Theater on Long Beach Island where Michelle played the role of Annie Oakely in Annie Get Your Gun and obtained membership into the Actor’s Equity Association. She then joined the cast of Mamma Mia! in Las Vegas as part of the ensemble. She understudied the role of Sophie Sheridan and she was lucky to have played the part several times. Michelle has returned to New York City and is auditioning. She teaches voice on Long Island with her father’s business, Moore Music. Michelle and her dad, Jimmy Moore perform all over Long Island at libraries, schools, park districts and private parties. Studied musical theater, theater dance, tap, ballet & lyrical for 10 years. Michelle will be performing as the female lead in the the new musical “The Morning After / The Night Before”, which is part of the New York International Fringe Festival! Performances will be at the Lucille Lortel Theatre located at 121 Christopher Street, New York, NY. Performances are scheduled for Wednesday, August 18th at 2:15 pm, Monday, August 23rd at 11:30 pm, Thursday, August 26th at 10:15 pm, Friday, August 27th at 4:45 pm and Saturday, August 28th at 7:30pm. Tickets are on sale now and can be purchase online by clicking on the desired performance above or on the phone by calling (866) 468-7619.